Today Schwarzkopf Professional covers all products in the categories of hair coloring, care, and styling. Schwarzkopf, always in tune with the spirit of the times, has repeatedly revolutionized the market with technical breakthroughs and innovations. Because there were so many variables that could all affect the final color formula, it would often take Schwarzkopf’s hairstylists a long time have a formula they felt confident about to present to the client. Additionally, the learning curve for how to most effectively consult this large catalog was very steep. 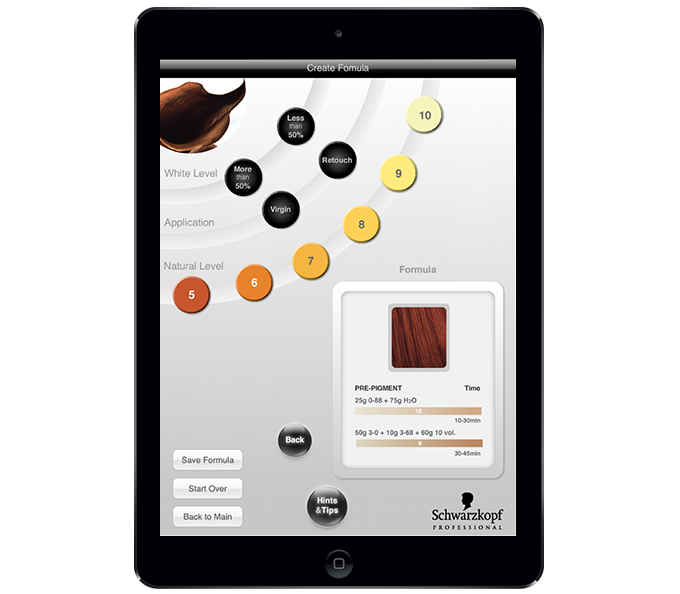 Schwarzkopf thought manually searching through hundreds of hair color formulas was an ineffective use of their staff’s time, and wanted a custom technology solution to improve the functionality of their proprietary “System Educator” catalog. The company wanted a new cutting edge technology solution to replace paper binder catalogs. Logic Solutions tackled the challenge with the end user in mind. First, Logic designed new graphics based on Schwarzkopf’s image that brings the company to life on Apple’s interactive tablet. The graphical user interface is elegantly minimalistic and easily navigable through the four main functions: Create Formula, My Clients, Hints and Tips, and Browse Educator. Logic coded Schwarzkopf’s database of hair color formulas in the Create Formula pathway. Once selected, the user can select the client’s target color based on different shades in the IGORA color line. The user then goes through a series of steps to determine the correct IGORA hair formula for each client. In addition, the user can also save a client’s color formula for future reference to the “My Clients” section of the app. The “Hints and Tips” screen displays information on: concentration, color correction, special recommendations, color refreshing, toner and developer. The “Browse Educator” section provides the user access to the original “System Educator” web application directly from the app. Logic gave the web educator an upgrade with improvements on the look and feel of the application. 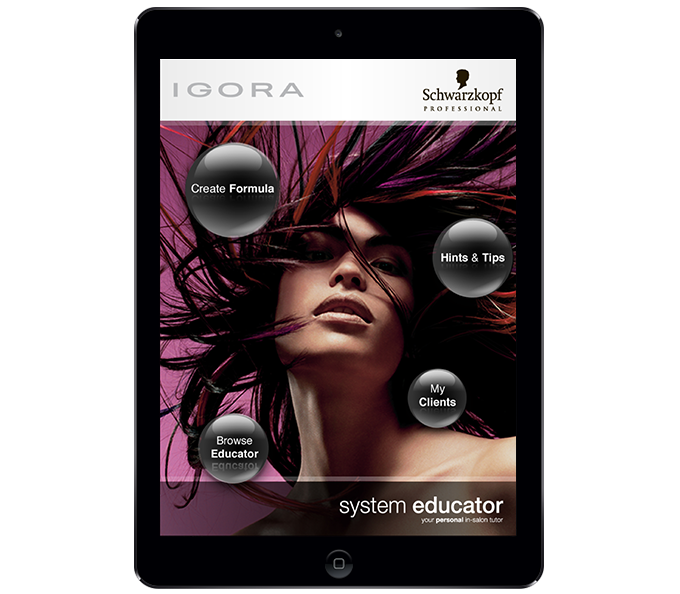 The IGORA mobile app launched a new initiative by Schwarzkopf Professional to include mobile technology in their sales and education process. 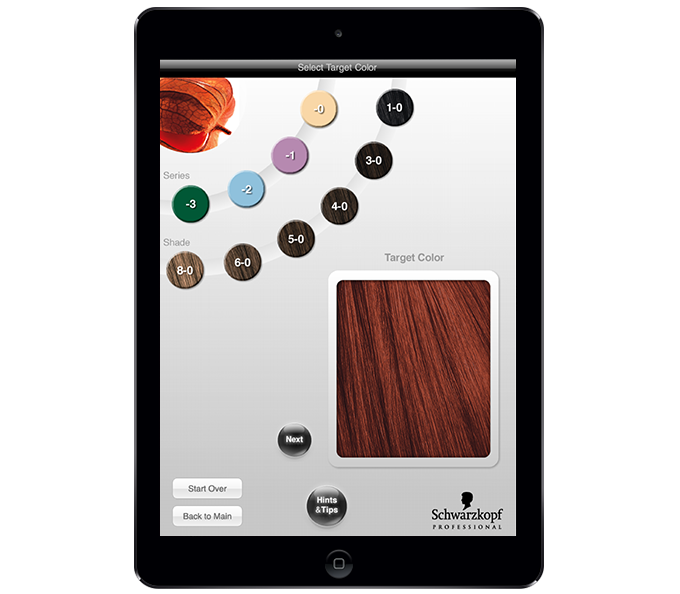 Schwarzkopf purchased and outfitted 500 iPads with the IGORA app to roll out their mobile strategy and provide the sales team with a device that can display Schwarzkopf’s products in a cool and fashionable manner. Logic took the app from concept to Apple’s App Store and loaded Schwarzkopf’s 500 iPads in less than four months. At the time, Schwarzkopf’s iPad purchase was the largest one on record.